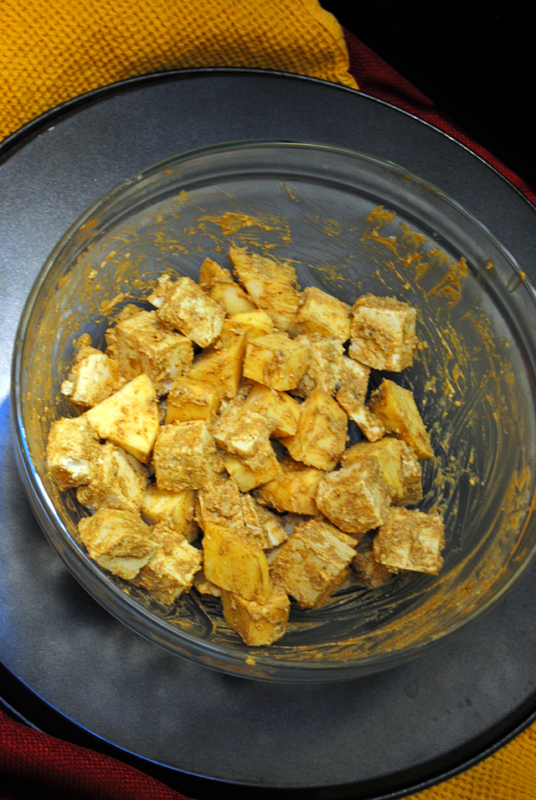 Ever since I learned that you have to press tofu before cooking it, I have been on a bit of a tofu kick. I am fortunate enough to have delicious, locally made tofu available at many grocery stores, as well as at the City Market. They sell a block for just $2.50. With 4 – 5 servings per package, it’s quite the deal! 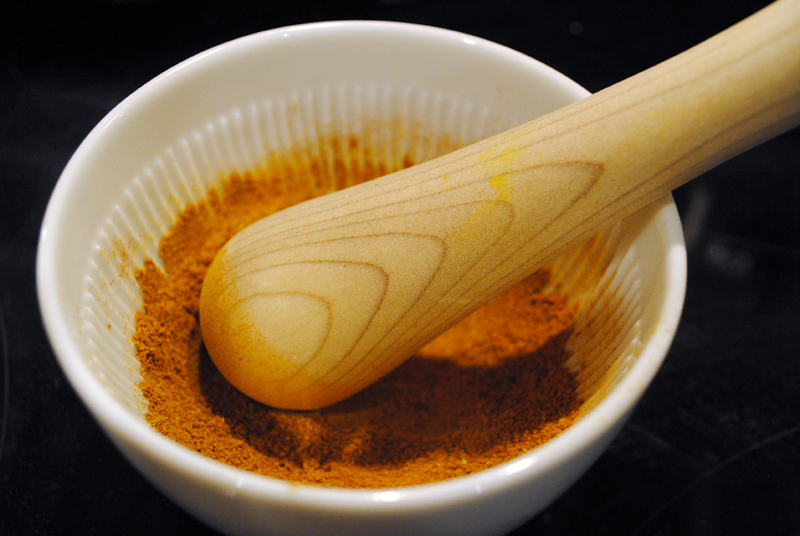 I am also fortunate to have a great spice shop in town. 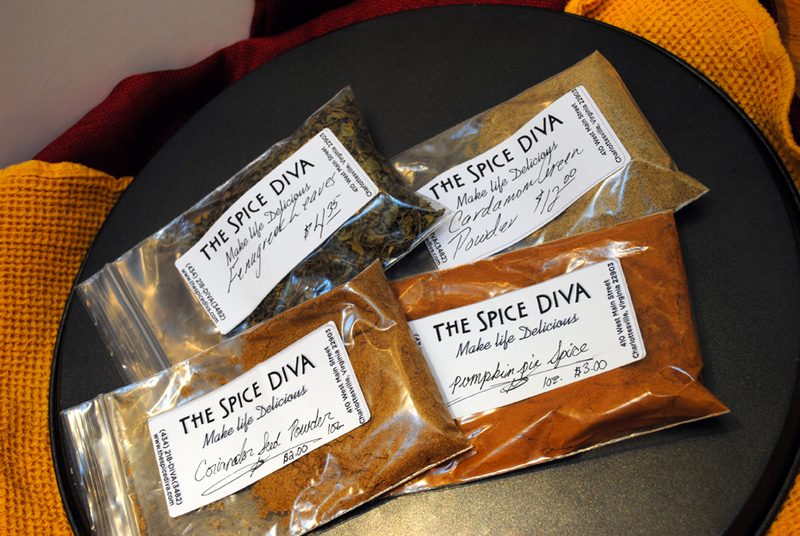 The Spice Diva offers wonderfully fresh spices, in bulk. I was sold after my first visit, and I am amassing quite the collection of spices. 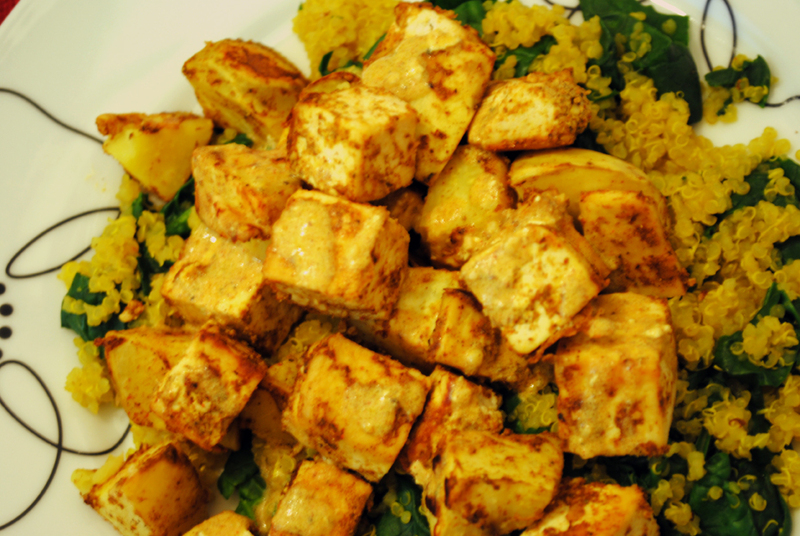 So imagine my pleasure this weekend when I came across a recipe that beautifully showcases both tofu and spices. This recipe is a vegetarian take on the Chicken Shawarma recipe from an upcoming cookbook that I can’t wait to get my hands on. I just pre-ordered it on Amazon, and it is set to arrive in about 2 weeks. Mediterranean food is probably my favorite. I love the flavor combinations, the sharable nature of the dishes, and the generally fresh and veggie-centric nature of many dishes. In the weeks leading up to the cookbook’s release, Brandy is hosting a Mid-East Feast dinner party with a few bloggers who were lucky enough to receive advance copies. Each week, they are assigned a recipe from the book that they all re-create. I was particularly drawn to Joanne’s version, Tofu and Sweet Potato Shawarma. Hop on over to her blog for the recipe! 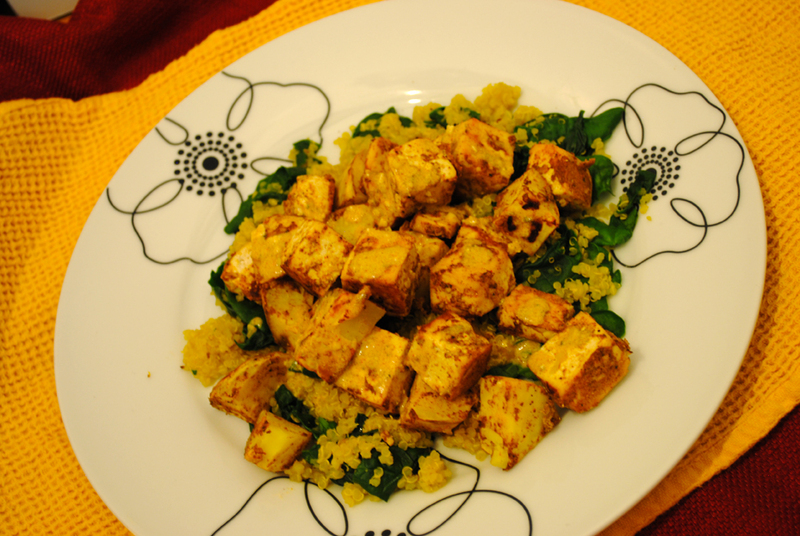 I decided to serve my tofu and sweet potato shawarma over turmeric-scented quinoa and spinach. It was a simple, extremely tasty meal. 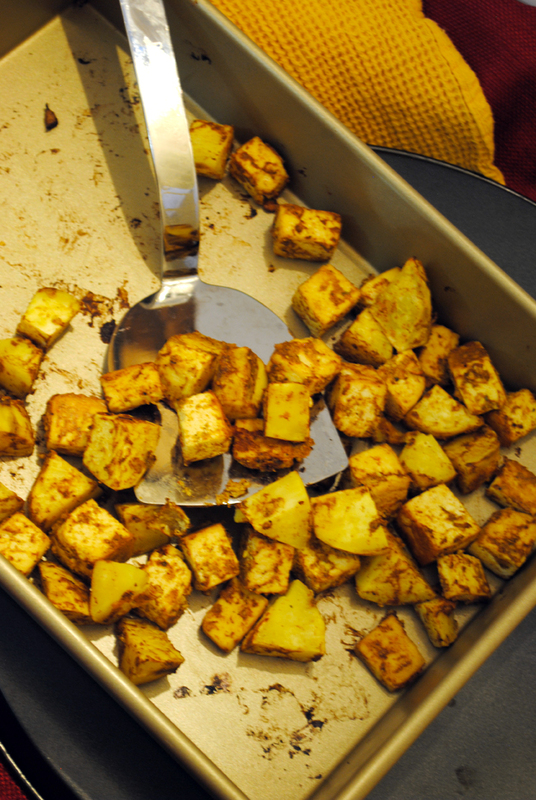 The rich spices took the tofu to a whole new level, and paired well with white-fleshed sweet potato. 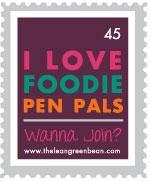 Be on the lookout for more Mid-East Feast inspired meals very soon! Meatless Monday! 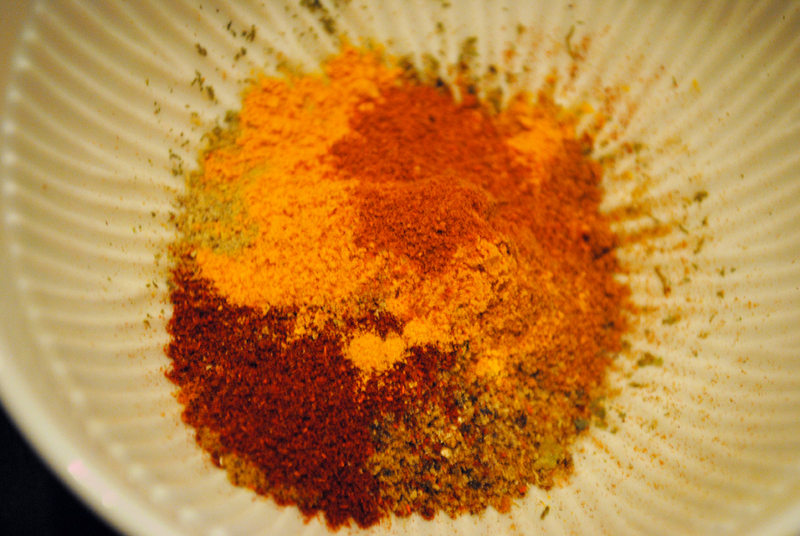 Love this recipe and how you incorporate spices. Make the dish rich and flavorful. Yum! Thanks for stopping by, Linda! The spices in this dish are fabulous. Hope you enjoy it.